WASHINGTON, D.C.– Since the “Russiagate” scandal and anti-Russia hysteria first began, substantial evidence has emerged to debunk many of the claims made by their proponents. For instance, the “Russian hacker” narrative has lost all credibility, as analyses have shown that the Democratic National Committee’s “hacked” emails were not targeted by a foreign actor, but an insider with access to their network — suggesting that it was a leaker, not a hacker, who was ultimately responsible. In addition, several prominent mainstream news organizations including the Associated Press and New York Times have been forced to retract false statements made with the intention of selling the “Russian hacker” narrative. Others have been forced to retract entire stories that were later found to be fabricated. 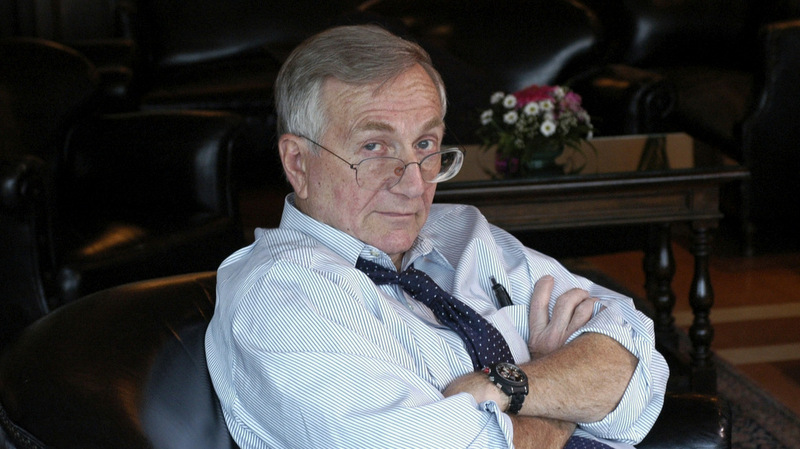 Now, award-winning journalist Seymour Hersh has – perhaps inadvertently – put another nail in the coffin of the collapsing account of how Russia supposedly interfered in last year’s U.S. presidential election. In a profanity-laced phone call, which was leaked and uploaded to YouTube on Aug. 1, Hersh details insider information he obtained from his contacts at the FBI and the Washington, D.C. Police Department. This information, in contrast to what the government has publicly stated, indicates that the DNC’s “hacked” emails were given to WikiLeaks by a DNC employee – none other than the now-deceased Seth Rich – and that the entire Russian interference narrative was intentionally fabricated by U.S. intelligence. Most of Hersh’s call details how Rich came into contact with WikiLeaks, giving them access to DNC emails in return for a cash reward. Hersh asserts that Rich’s contact with WikiLeaks was known to the FBI and the entire U.S. intelligence community, despite their public claims to the contrary. Hersh, however, stops short of saying Rich was murdered for his role in the leaks, instead asserting that the 27-year-old was killed due to a late night robbery gone awry. In other words, Hersh states that these high-ranking figures in U.S. intelligence deliberately lied to the press. Given some of their testimonies on Capitol Hill regarding the Russian hacking allegations, these people also – if Hersh’s sources are correct – lied to Congress. It certainly wouldn’t be the first time. While Hersh’s frank analysis of the situation will surely change some minds, it may be too late to stop permanent damage from being done to U.S. international relations and domestic policy. Nearly a year of anti-Russia hysteria propagated by the U.S. establishment media and the nation’s political elite has resulted in “real world” consequences more concrete than mere xenophobia, as evidenced by the latest round of unilateral sanctions targeting Russia. Medvedev, like Hersh, alludes to the existence of an establishment in the United States that operates outside the realm of accountability, yet still directs domestic and foreign policy regardless of who is president and which political party holds a majority in Congress.